I’m a great fan of Excel. I think it is the most important and useful software ever developed. I first started using spreadsheets many years ago with Lotus 123 which was a great tool that lost the spreadsheet war to Microsoft. Excel can be used in so many ways and here at Margill, we use Excel quite extensively. Many, if not the majority of our users, before switching to Margill Loan Manager, serviced their loan/mortgage/lease/line of credit portfolios with Excel. Even among our very large clients, many used Excel to service hundreds of millions of dollars and it was doing a pretty good job. Excel is great because of its flexibility and its almost limitless power to manually adapt the loan to very peculiar scenarios. Excel can do a decent job for a limited number of loans but eventually, the amount of data becomes too much and the loan payment schedules become impossible to manage. Finding data and updating becomes mission impossible. A major drawback in Excel is managing missed, partial and late payments. Excel can be fine when all normal payments are paid as they were planned, based on the loan contract (60 payments of $500 on the 1st of each month for example). When payments are not made as they should be, it becomes a real challenge to update so many spreadsheets. Updating a few dozen loans can take hours and a few hundred almost a day. Payment management should take minutes, not hours! Excel is not ideal either for line of credit type loans or when payments are not set ahead of time. Try importing 500 new payments or draws (aka: advances/additional principal) on various dates for multiple loans. In my experience, this can only be done loan by loan in Excel, by hand, not as a batch operation. A good loan program allows easy import of these ad hoc payments or draws with an automatic re-computation of the interest in seconds. For loans based on Prime or LIBOR for example, the fact that rates were very stable over the last couple of years made things more or less manageable with Excel. Now with base rates going up more regularly, updating loans in Excel represents a real challenge since updating the rates must be done manually on a loan-by-loan basis. A good loan servicing platform can update rates in batch. We often see interest-only loans tied to a base rate in which, when the rate changes, the payments must be adjusted to remain interest-only. With any sort of volume, this becomes almost unmanageable in Excel since, in my experience, there is no way to easily tell Excel to adjust the payment to pay only interest. There’s probably a way to program a special macro to do this but again, not easy. 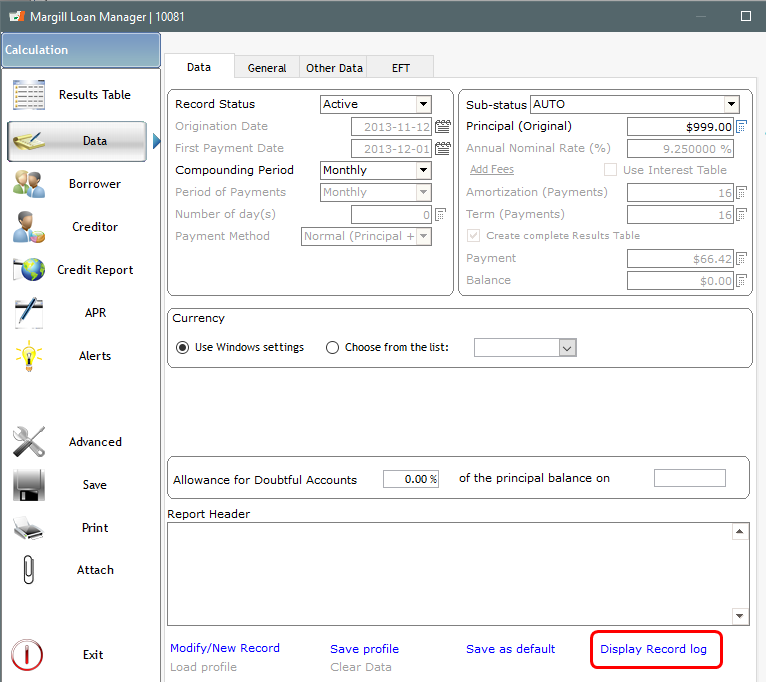 Very few loan servicing software have this advanced option. I often do screen shares with potential clients and simply finding a specific loan in the spreadsheet system is a challenge. Wrong folder, wrong spreadsheet, wrong tab. You know the feeling! Finding the right loan should take seconds, not a minute or more. This one is self-explanatory. Excel is wonderful software, but human error is a major problem with spreadsheets since they offer great flexibility but with flexibility comes risk of error. Many studies have been done over the years trying to evaluate the amount of money that has been lost (or gained by someone else) because of human error. 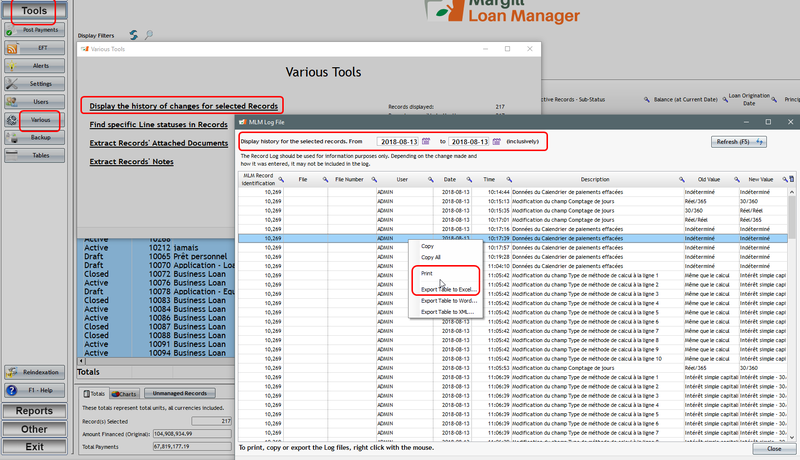 The same risk of error exists for loan servicing via Excel. I’ve seen so many professional lenders include, in their contracts, a clause that states that fees are charged to borrowers for missed and late payments. Considering the challenge of adding fees in Excel, again, on a loan-by loan basis, these fees are simply not charged and end up as lost revenue for the lender and, even more importantly, the consumer not being penalized, does not change his/her bad habits. High quality loan servicing solutions should have a feature by which fees are applied automatically for late or missed payments and to go one step further, should automatically advise the consumer a few days ahead of time by email or SMS that a payment is upcoming and to make sure the amount is available in the bank account (for electronic debits (ACH)) or to make sure the check is paid on time. A major irritant in Excel is obtaining the right financial/accounting data for a specific time period. Most companies will report on a monthly or quarterly basis based on the civil calendar month. In simple scenarios, when payments are due and paid on the 1st of each month, you can pretty easily obtain the interest and balances from the 1st to the end of month in Excel. However, not all payments are payable or paid on the first of each month or quarter. For example, a loan has set payments on the 7th of each month, yet I must report from the 1st of the month to the end of month. With such payments, Excel is simply not able to pull the accrued interest and balances for a calendar month (or quarter, or year) unless a line is inserted at the end of the month that splits the interest in two time periods (from the 1st to the 7th and the 8th to 31st for example). Adding such lines in hundred of loans would lead exhaustion or worse! Quality loan servicing software don’t need these “reporting” lines since the calculation engine will automatically simulate start and end of month, allowing you to pull any data, any time for any time period. Along the same lines as 7 above, Excel does not easily distinguish between accrued interest and paid interest. In most spreadsheets I’ve seen, there is only one “Interest” column that is computed with a simple interest or compound interest formula. Even if a payment is missed, the interest accrues but is not paid. In a properly designed spreadsheet, this unpaid interest should go, not only to the loan balance column, but also to a due (outstanding) interest column, that, in most cases, based on a standard refund order, should (must) be paid before any principal is paid. Throw in fees and the spreadsheet turns to disaster because a refund order is non-existent. This greatly increases the work for your accountants after the fact. This is my favorite which I have seen countless number of times particularly for end-of-month payments. You must ask yourself, if a payment is made on December 31, is it paid in the morning, so at 0:00 in the morning, or is it paid at the end of that day at 12:00 midnight (24:00)? Nobody actually asks this question since the payment is simply paid at some time during the day (10 AM, right after lunch, at 4 PM, who knows, who cares…). Nobody enters the time at which a loan or payment is made since interest is not calculated on a hourly basis, but on a daily basis. Software must then assume that a loan is disbursed or a payment made either at the start of day or end of day (to factor in a full 24 hours or interest). Industry standard dictates that when a loan is disbursed, interest is calculated on the day the money is lent out but not calculated for the end date. So, for a loan starting Feb.1 (with first payment March 1) and with a final payment 12 months later, interest would start on Feb 1 at 0:00, but no interest would be charged on the loan end date of Feb 1 (payment 12). Even with a loan balance, the interest reported on the loan end date would be 0.00. A silly, but easily understood way to look at this: a loan lent out on Feb. 1 and paid back Feb. 2 would have 1 day’s interest, not 2. A loan from Feb. 1 to Feb. 1 of that same year, well, would probably not have any interest. How many days are there from Feb 1 to Feb 1? In my book, zero. So a payment on December 31 is actually paid at the start of the day, not at midnight. I call this time 0:00+. In Excel, if Dec. 31 is entered as the payment date, you may have wanted it to be paid at midnight but it is in fact paid at 0:00+ and thus should reduce the balance by that amount at the start of the day, not at the end of the day. The balance reported on that payment line in Excel is thus that on the 31st at 0:00+, not 24:00. The same applies for the interest calculated: also on the 31st at 0:00+, not at 24:00. Thus, by relying on that line’s payment, the accrued interest for that last day (the 31st) is simply ignored and the balance is not accurate to the 31st at 24:00. To obtain the right amounts in Excel, a line should be inserted in the sheet on the 1st of the next month to compute the interest accrued on the 31st. Again, adding extra lines becomes practically unfeasible with a few dozen or hundred loans in Excel. And with every extra operation comes an increased risk of error. You have run into spreadsheet problems with your loans? Let me know, I’d be happy to add them to my blog. Want to replace Excel as your loan servicing software? You have had enough of Excel for your loans, there are many good loan servicing solutions out there, and, well, its my job as a Margill employee, to “objectively” 😉 recommend our product, Margill Loan Manager… It offers a whole lot of flexibility and accuracy!